Everyone needs help with finances. Financial Literacy means having the knowledge, skills and confidence to make responsible financial decisions. The Government of PEI has invested in programs that benefit Island residents. 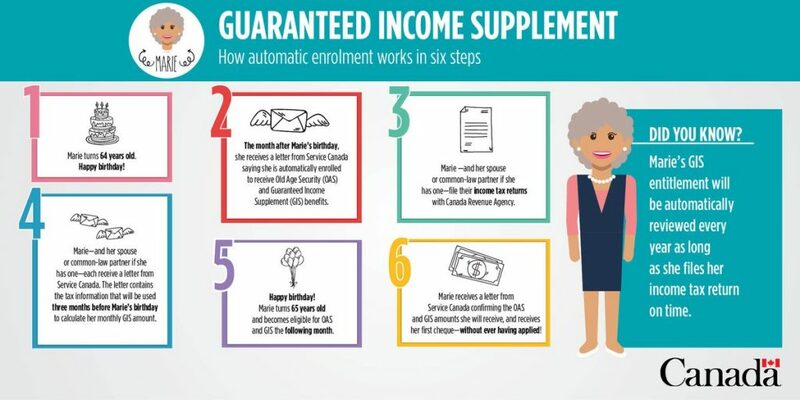 The Government of Canada offers many programs and services for Canadians concerning education savings, pensions and retirement, tax benefits and consumer and wage earner protection. Local and national organizations and agencies also offer financial help through their services and programs. Childcare Subsidy Program – This provincial program is designed to assist Island parents with the cost of childcare and daycare services. The program includes children up to the age of 12. In 2018 and 2019, childcare subsidies are slated to increase by $1.2 million. Up to 400 new childcare spaces will be added. Click here for details. For more information on childcare subsidies, call 902-368-6470. For more information on childcare spaces, call 902-438-4130 or email [email protected]. Seniors Independence Initiative– This program will provide $1.65 million for practical services to support the independence of seniors. Click here for details. Grandparents and Care Providers Program – Eligible families who provide out-of-home care for children will receive $700 per month (per child) as well as child care and children’s dental and drug coverage. Click here for details. Housing Action Plan – The website Home Together – Affordable Housing on PEI shares the latest news on the province’s housing developments and listings for affordable housing supports for individuals, seniors and families, community housing and community shelters. Click here for details. Another feature is finding help for your home, such as down payment assistance, home renovation, and energy efficiency rebate. Click here for details. Private developers can find information on low-cost loans and other funding here. For more information, call 902-368-5770 or email [email protected]. Consumer Services – This division of the PEI Department of Justice and Public Safety handles consumers’ complaints and informs them of their rights and responsibilities regarding collection agencies, payday loans and more. Click here for details. Filing a complaint with Securities – If you have serious concerns about the way your investments have been handled, a company you have invested in, or believe securities law has been breached by a company or individual, you can make a formal complaint to the Prince Edward Island Office of the Superintendent of Securities. Click here for details. Canadian Anti-Fraud Centre – This agency collects information on such matters as mass marketing fraud (e.g., telemarketing), advance fee fraud (e.g., West African letters), Internet fraud, and identity theft complaints. Click here for details. For more information, visit www.skillspei.com. Employment Standards on PEI – Workers’ rights are protected under employment legislation on PEI. The Employment Standards Act, Youth Employment Act and other labour laws clarify the rights and obligations of employees and employers and set minimum standards to ensure individuals are treated fairly in the workplace. Click here for more information. Wage Earner Protection Program – This program provides timely payment of eligible wages owing to workers whose employer has gone bankrupt or become subject to receivership. Eligible wages under the Program include salaries, commissions, vacation, termination and severance pay. Click here for details. Workplace financial literacy – Workplaces that offer financial education help their employees cope with a major source of stress, leading to happier and more productive employees. Click here for details. Canada Benefit Finder – A short survey to connect you to the federal and provincial benefits you may be entitled to. Click here for details. The criteria to receive assistance vary, and could include academic achievement, athletic skill, extra-curricular and community involvement, and/or special abilities. Scholarships are typically based on accomplishment and other specific criteria, while grants and bursaries may take financial need into consideration as well. Click here for a complete list of what is available for PEI students. The April 2018 issue of The Employment Journey on PEI shared information related to student awards, education savings, benefits and income tax help here. Island Advantage Bursary – A new bursary that has two parts: one is for low and middle-income students, and one that supplements the George Coles Bursary, Island Student Award, Island Skills Award, and George Coles Graduate Bursary. These grants are currently available to students are UPEI, Maritime Christian College, Holland College and College de l’Ile. The Debt Reduction Grant — This grant increased to $3,500 this year with a requirement for Island residency. Further, the time to apply for the grant will be increased from one year to three years. For more information, call 902-368-4640 or e-mail studentloan@gov.pe.ca. Canada Learning Bond – An education savings plan which provides up to $2,000 towards post-secondary education. Children must be born in 2004 or later to be eligible for the plan. Click here for more information. Education funding – Scholarships, paying for your education, RESPs, budgeting tips and paying off student debt. Click here for details. Savings and pension plans – Information for individuals (contributors) and plan administrators. Click here for details. Pensions & retirement – Retirement planning, public and registered pensions, RRSPs, RRIFs, retirement income calculator and more. Click here for details. Community Volunteer Income Tax Program – A free program for eligible taxpayers who have modest income and simple tax situations. To find out about credits taxpayers can take advantage of, click here for details. The Basic Personal Amount will increase by $500 in 2018 with a further increase of $500 in 2019. After the plan is implemented, approximately 2,200 additional Islanders will no longer pay any provincial income tax. To learn more about the new and expanded benefits that may be available to PEI residents, check out “Benefits for Islanders” brochure here. Electricity Tax Relief – The first block of residential electricity will now be rebated equivalent to the provincial portion of the HST on electricity bills each month. This means an average of $120 a year in savings per household. A rebate equivalent to the provincial portion of HST will also be available for firewood, pellets and propane through a point-of-sale credit or rebate. For more information, contact Efficiency PEI toll-free at 1-877-734-6336 or email [email protected].ca. Be aware and get your share. Federal and provincial government benefits are available for individuals and families based on eligibility criteria. 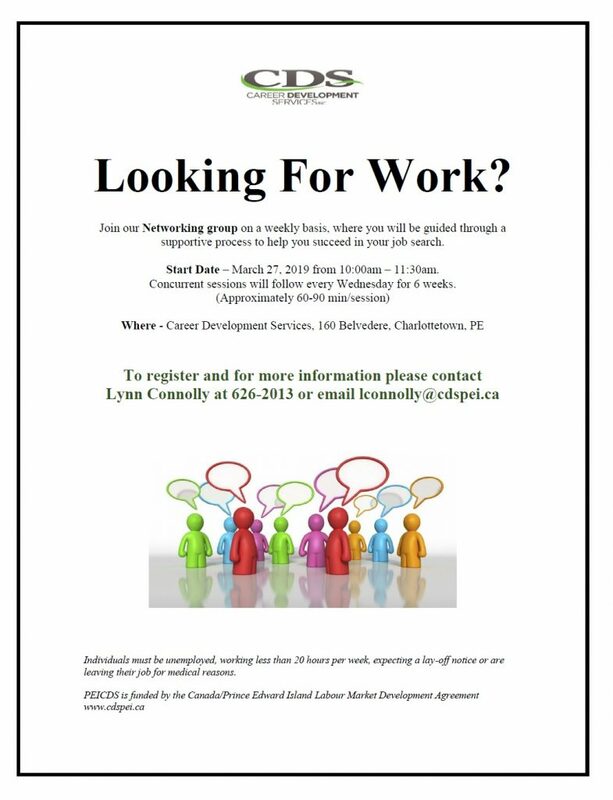 If you or your team would like to discuss this initiative or arrange an information session, contact Amy Doyle at [email protected] or call 902-368-6389. Employment Standards on PEI – Workers’ rights are protected under employment legislation in PEI. The Employment Standards Act, Youth Employment Act and other labour laws clarify the rights and obligations of employees and employers and set minimum standards to ensure individuals are treated fairly in the workplace. Click here for more information. The Financial Consumer Agency of Canada (FCAC) ensures federally regulated financial entities comply with consumer protection measures, promotes financial education and raises consumers’ awareness of their rights and responsibilities. Click here for details. Financial tools and calculators – Tools to help you choose a bank account and credit card, including budget and mortgage calculators. Click here for details. Canadian Financial Literacy Database – Find resources, events, tools and information on budgeting, money management, insurance, saving, investing, and taxes from various Canadian organizations. Click here for details. CPA Canada’s Financial Literacy Program Unbiased objective financial literacy education and information to improve the overall state of financial literacy in Canada. Click here for details. Request a financial literacy session in your community Learn more about CPA Canada’s literacy sessions for schools, adults, seniors and newcomers, and register. Click here for details. Allan Marshall and Associates offers a wide range of services including Bankruptcy and Consumer Proposals to the residents of PEI. Click here for details. BDO Debt Solutions has local teams of knowledgeable professionals such as proposal administrators, credit counselors, and Licensed Insolvency Trustees. Click here for details. Credit Counselling Services of Atlantic Canada is a non-profit organization providing confidential and professional budget, credit and debt repayment counselling programs to families and individuals. Click here for details. Grant Thornton has Licensed Insolvency Trustees (LIT), who are federally-regulated professionals that provide advice and services to individuals and businesses with debt problems. Click here for details. Family Service PEI (FSPEI) Credit Counselling is a registered charitable non-profit agency, accredited by Credit Counselling Canada. Credit Counsellors meet face-to-face with clients to help them get debt-free and learn money management skills. FSPEI also offers a debt repayment program. Clients of the Credit Counselling Program can also access the FSPEI Therapeutic Counselling Program free of charge. Click here for details. MNP Ltd. has a Consumer Insolvency team to help individuals with consumer proposals, personal bankruptcy and credit counselling. Click here for details. Organizations such as Family Service PEI (FSPEI), Career Development Services PEI (CDS), CBDC Rural Action Centres, and RDÉE PEI host information sessions throughout the year on topics such as money management, operating on a shoestring budget, and funding sources to help start a business or get a post-secondary education. FSPEI Community Education Sessions cover basic money-management information for students, community groups or workplaces. FSPEI is also available for information fairs and trade shows. Click here for details. CBDC Rural Action Centres offer business guidance, entrepreneur education and management assistance for start-ups and more. Family Service PEI (FSPEI) – It’s Your Right – gives advice on protecting people financially as they age. Click here to select a list of topics. ABC Life Literacy Canada – Money Matters – designed for adult learners, Indigenous communities, newcomers and New Canadians. Click here for details. CPA Canada’s Financial Literacy Publications – offer in-depth knowledge on improving your financial health. Click here for details. Prosper Canada Centre for Financial Literacy – works with business, government and non-profit partners to increase access to high quality, unbiased, and free financial information, education and counselling for Canadian living on low incomes. Click here for details. Prosper Canada’s Learning Hub further helps practitioners, policy-makers, funders, and advocates working to advance the field of financial empowerment. Click here for details. The Ready Commitment from TD Bank – financial security, a more vibrant planet, connected communities and better health. Click here for details. RBC Future Launch – helps youth get an education, grow their network, and gain skills. Click here for details. A new Grant Program is now available through the Workers Compensation Board. The Program will provide financial supports to help fund innovative workplace solutions and training and educational opportunities for Island employers and workers. “Enhancing PEI’s workplace safety culture and improving return to work outcomes are two strategic priorities that are emphasized within this program, and it will be rewarding to see how the grants will impact the health and safety of workers and employers of PEI,” said WCB Chair Stuart Affleck. Organizations can apply for funding under two streams: Workplace Innovation, and Training and Education. The Law Foundation of PEI has an annual funding grant for community organizations. This grant supports ideas for projects that provide legal education or improve access to justice on PEI. For further details on projects that are eligible and to obtain an application package, contact the Executive Director, Sheila Lund MacDonald at [email protected].ca . Food Security Grant (2019-2020) – This grant focuses on ensuring children, youth and their families who experience, or are at risk of experiencing, food insecurity have access to abundant, affordable and nutritious food. 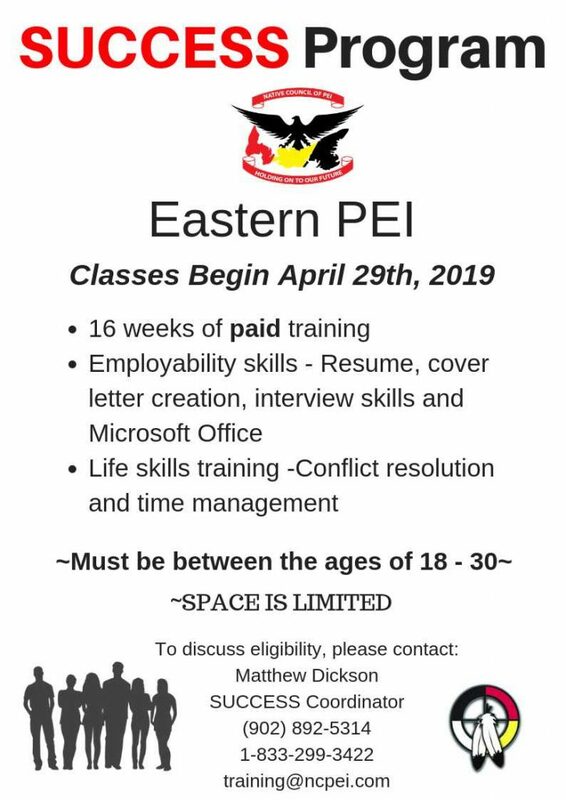 For further details contact the Community Impact Manager, United Way of Prince Edward Island, at [email protected].com. TakingITGlobal is looking for young people who are inspired with ideas and ready to take action through youth-led community service grants. Do you have a simple project idea to support your community? This is your opportunity to shape the future of your community, learn valuable skills and gain experience. This initiative is funded by the Government of Canada under Canada Service Corps.